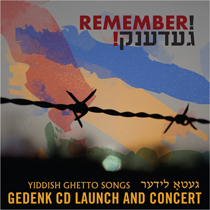 (En anglais seulement) Join us for the launch of the CD, « Remember! Gedenk! 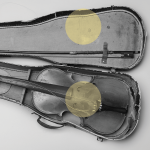 Yiddish Ghetto Songs » produced by The Dora Wasserman Yiddish Theatre of the Segal Centre for Performing Arts, and Sidney Zoltak, Shoah survivor, and Montreal Holocaust Museum volunteer. Discover the lyrics and music written about the Holocaust by those who survived, and those who did not.